During the Vietnam War, helicopters proved their worth to the US military. With brave crews aboard, they hovered low in the skies to rescue pilots and soldiers who were frighteningly close to enemy forces. How fascinating to think that the first helicopters couldn't even stay upright! 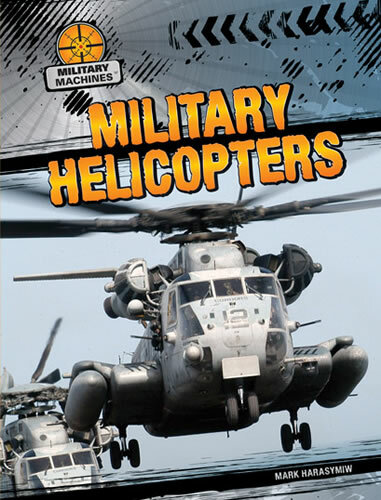 In this book, readers will discover what it was like for the inventors of the helicopter, while also learning how this huge machine became the military necessity it is today. Exciting content, along with full-color photographs of daring rescues and high-tech equipment, will inspire readers to look to the skies. Detailed sidebars and fact boxes will keep readers engaged from cover to cover.